While reviewing a set of metrics that I had been given, I mentally checked them off 1 one by one. 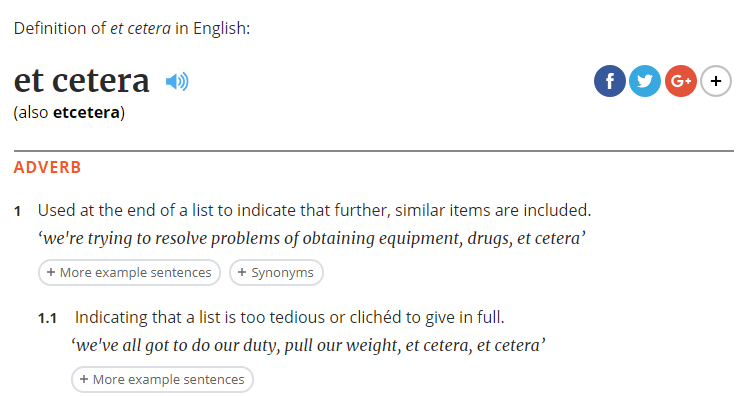 At the end of the list, there was this word = etc.2, short for the Latin phrase et cetera. This is something that I watch out for. Etceteras are groups of similar things. As a service provider, we should have a good 6 idea of whether things in a list are indeed ‘similar’ when viewed from how to design, implement, test, and deliver the items in the list. Changing light bulbs, installing a lamp, rewiring a room; all may be considered similar in a list (things an electrician might do), but they are very different from scope and effort required perspectives. Let’s see the complete list and then see what needs to be done. To be able to call a task, job, or project ‘complete’, we must know what the deliverables are. 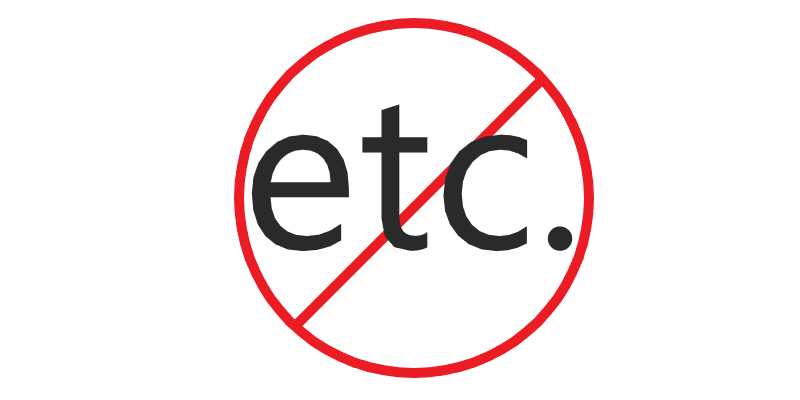 If you see or hear et cetera in your task list or project, clarify it and make life easier for yourself and your stakeholders. 1. Eventually, these would be moved to a more permanent location. My memory is not what it used to be, nor has my memory proven as reliable as the basis for ‘but we agreed!’ discussions as written/digital documentation like meeting minutes or a requirements matrix. 2. See here for a nice video about the adverb. This is either nostalgic (old people) or historical (young people). The video doesn’t mention phrases can be adverbs, but they can be. 4. noun – a group of et cetera phrases. Some dictionaries also allow ‘etcetera’ as a word. Sometimes I think the French have it right when they try to keep their language from evolving, particularly from misuse, but then I think, well, that certainly sounds like something the French would do. This Wikipedia article on the French Academy says there have 732 Immortals since the founding. That’s just silly. Everyone knows there can be only one. 5. Even Agile. For a particular sprint, the items to be accomplished need to be defined.